Ace Manufacturing has been a long time supporter of GarageShots. 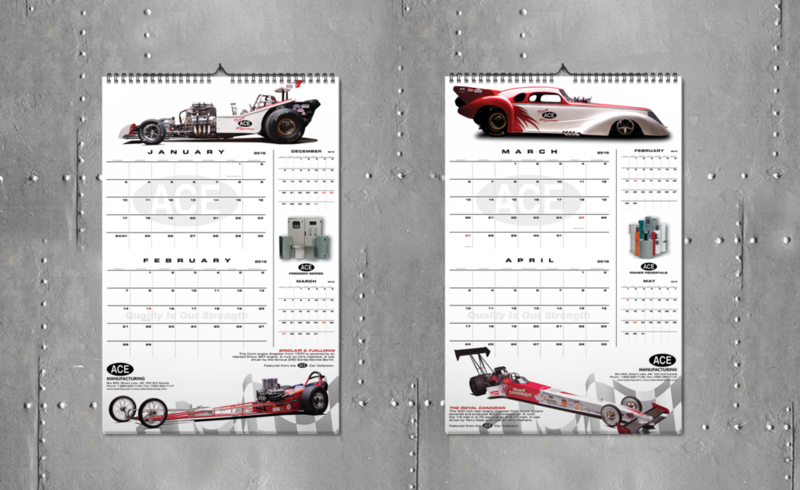 In addition to manufacturing quality metal electrical components for over 30 years from their Bittern Lake, Alberta, location the company has also actively supported racing throughout Western Canada and built their own race team. 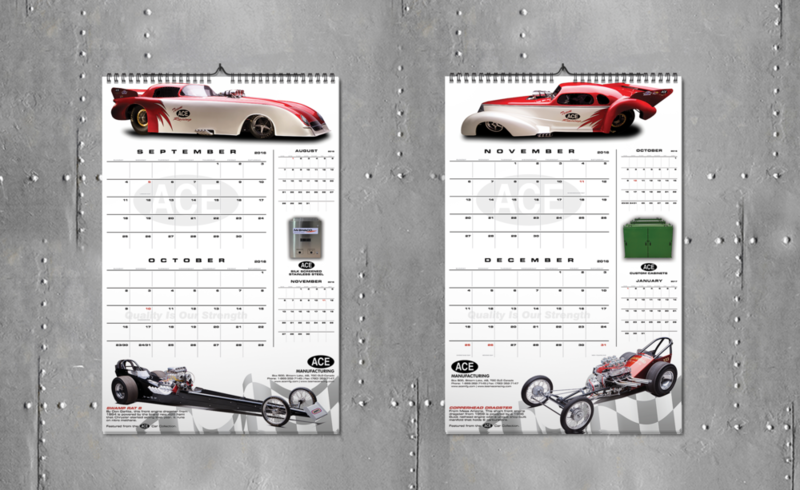 For ACE's 2015 fall advertising campaign, we worked with the ownership to create a large format shop calendar and a magazine co-branded with GarageShots Magazine. From a series of photoshoots, Darren Greenwood helped develop the two pieces so that they complimented the company's marketing and showcased their commitment to racing. The projects were designed by Hök Nik Creative and printed in two provinces. 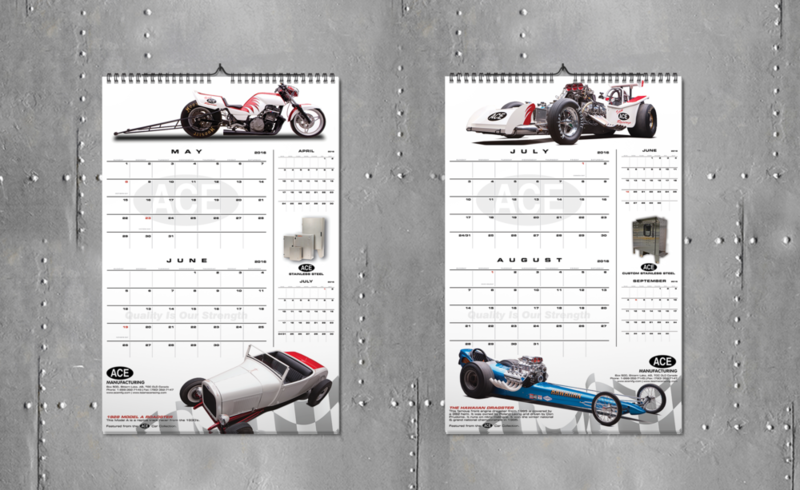 The calendar at McCallumn Printing in Edmonton, Alberta, and the magazine at Houghton Boston in Saskatoon, Saskatchewan. 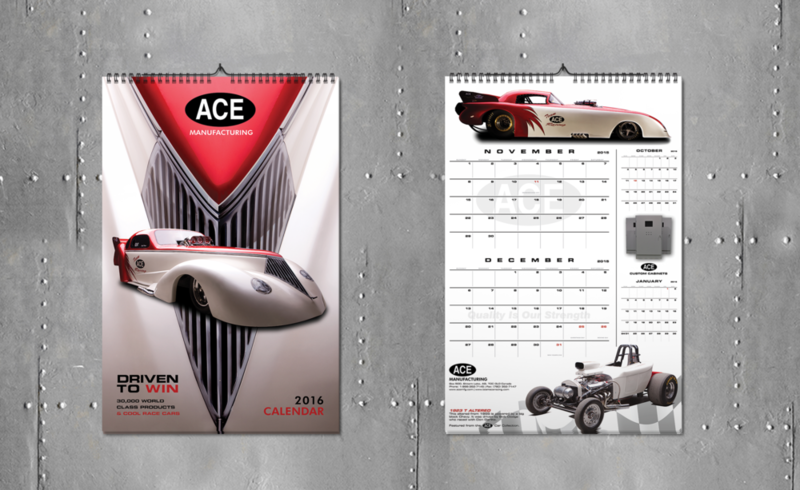 We'd like to thank Harold and the folks at ACE for their ongoing commitment to promoting racing and customs in the magazine and beyond. Older PostOur 1st Show N Shine Event Was Wild!